On Friday when I posted the warm and toasty Parathas, I promised that I would post the apple raita I served with the parathas. 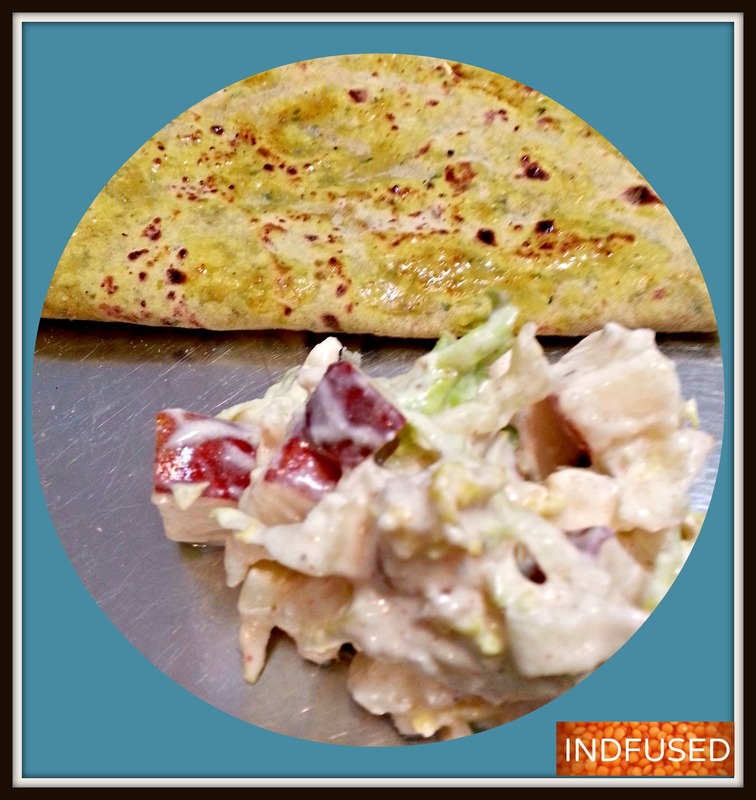 If you love blue cheese, you will find this raita addictive! The yogurt and blue cheese counterbalance the sweet apples and the crisp romaine, the smoky cumin seed powder and chaat masala take it one notch higher! And all this goodness in under 10 minutes! In a bowl, combine the yogurt, blue cheese crumbles, chili and cumin seed powders, chat masala, sugar and salt. Mix well, fold in the diced apple and celery and serve! Enjoy it with the warm and toasty parathas or as a side salad with any meal! Home style toasty Parathas with cottage cheese and blue cheese! Nutritious and Scrumptious Spinach Rice- A one pot meal!